It has been and is my privilege to officiate at weddings and renewals for people from all over the world, at a variety of settings—from beaches to boats, waterfalls to helicopters, sunrise on top of Haleakala (the highest peak on Maui and our most famous volcano) to an evening candlelit ceremony at the chapel of a world class resort. I have officiated at weddings on Oahu, Kauai, Lanai and Hawaii. 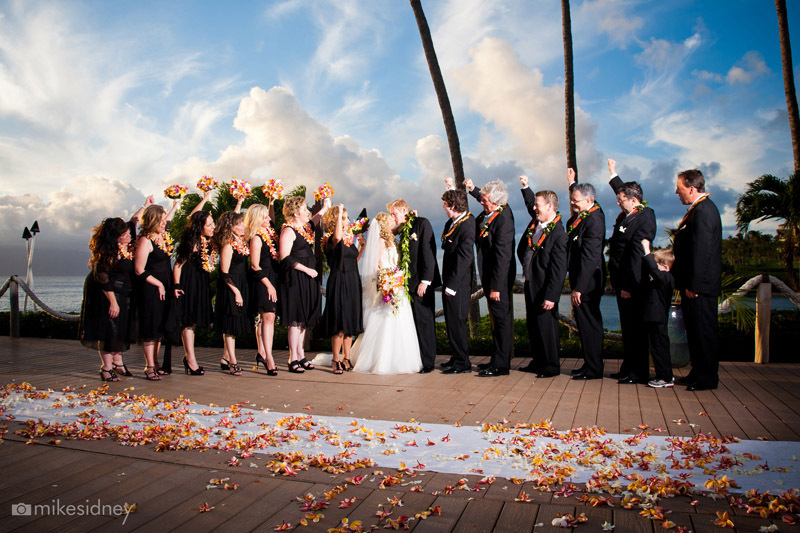 I often work with wedding coordinators at Maui's world class resorts, such as the Grand Wailea , the Maui Beach & Golf Resort (formerly the Maui Prince Hotel), the Four Seasons Wailea, the Fairmont Kea Lani, the Hyatt Regency Maui, the Westin Maui, and the Ritz-Carlton Kapalua. I also work with a variety of independent coordinators. If you plan to be your own coordinator I can suggest places for you to have your wedding, such as beaches, parks, or private estates. I am very flexible about the location of your ceremony. I am willing to travel, and I am licensed to perform weddings on all the Hawaiian islands. I have officiated at weddings on the Mainland as well. Feel free to contact me directly to reserve a date for your ceremony. Even if you plan to work with a hotel or an independent wedding coordinator, you can request my services. For information about marriage and civil union requirements in the state of Hawaii and to start an application online, use the links below. There is also a link below for Maui sunset times .